Some quotes from Richard Feynman in The Fantastic Mr. Feynman. 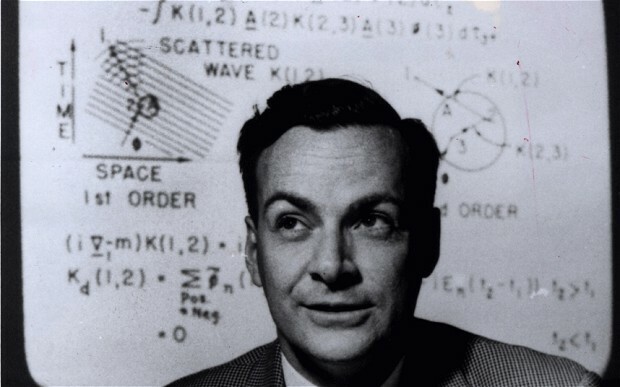 Feynman’s father, Melville Feynman, worked for a company which made uniforms. This exposure to the military led to a strong rejection of authority, a value he instilled in his son. One of the things that my father taught me was a disrespect. He’d open a picture, a New York Times, maybe it was a General, and he’d say, “Now, look at these humans,” he’d say. I don’t know, I don’t know anything about the Nobel Prize, I don’t understand what it’s all about or what’s worth what, and if the people in the Swedish Academy decide that X, Y or Z wins the Nobel Prize, then so be it! I don’t see that it makes any point that someone in the Swedish Academy decides that this work is noble enough to receive a prize. I’ve already got the prize, the prize is the pleasure of finding the thing out, the kick in the discovery, the observation other people use it, those are the real things. The honours are unreal to me, I don’t believe in honours. It bothers me. Honours bothers me! Honours is epaulettes. Honours is uniforms. My Poppa brought me up this way. I can’t stand it. It hurts me. I have a friend who’s an artist and he’s sometimes taken a view, which I don’t agree with very well. You hold up a flower and say, “Look how beautiful it is.” And I’ll agree. And he says, I, as an artist, can see how beautiful this is, but you, as a scientist, take this all apart and it becomes a dull thing. And I think that he’s kind of nutty. First of all, the beauty that he sees is available to other people, and to me too. I believe, although I may not be quite as refined aesthetically, as he is, that I can appreciate the beauty of the flower. At the same time, I see much more about the flower than he sees, I could imagine the cells in there, the complicated actions inside, which also have a beauty. I mean, it’s not just beauty at this dimension of one centimetre, there’s also beauty at a smaller dimensions, the inner structure, also the processes. The fact that the colours and the flower are evolved in order to attract insects to pollinate it is interesting, it means that insects can see the colour. It adds a question, does this aesthetic sense also exist in the lower forms? Why is it aesthetic? All kinds of interesting questions, which a science knowledge only adds to the excitement and mystery and the aura of a flower. It only adds. I don’t understand how it subtracts.